The admission to various Colleges of Education of the three Universities of Punjab will be done strictly as per the Punjab Page 14 of 24 Government Notification (Annexure I) and the N.C.T.E. norms and by the Admission Committee constituted by the Vice-Chancellor, Panjab University, Chandigarh. The reservation of seats as given above shall be strictly adhered to. However, in case seats in a reserved category remain vacant, on account of non-availability of qualified candidates, such seats may be filled up from the general category candidates. The admission of total number of seats in the colleges of education for candidates belonging to different subjects will be done as per the norms laid down by the N.C.T.E as per clause 3.1 of the appendix no. i.e. 25 students per teacher for a school subject. Online allotment of seats for the subjects offered by various colleges would be allotted by the Panjab University. Allocation of seat during online allotment does not mean confirmation of admission. The admission of the candidates will be confirmed only after verification of documents and following due procedures laid down by respective colleges. After completion of counseling, the admission committee will take decision about filling of unfilled seats. The method proposed would be in the light of the decisions taken by Punjab & Haryana High Court regarding CWP No. 19518 dated 14/12/2009. The Admission Committee would fill all the seats subject to the availability of eligible candidates. The candidates are advised to follow the procedure laid down for online registration and application form submission. o Incomplete forms will not be given any chance for completion after the last date mentioned on the website link “Important Dates”. It is the responsibility of the candidate to ensure that correct information is provided when the online form is filled. Any incorrect information will lead to disqualification. Candidate is required to deposit fee of Rs. 2200/- (Rs. 1100/- for SC/PwD) before the last date mentioned on the website link “Important Dates”. Candidate can deposit their fee in any SBI branch located in India. Candidates applying for the reserved category shall carefully indicate the claim for only one category in the admission form to be submitted through online process. Any change of information in the Online Admission Form once submitted on the website will not be entertained. Common Entrance Test (CET) will be held as per schedule on the website link “Important Dates”. The candidates are required to mention the three examination centre of their own choice while filling up of online form. ADMIT CARDS carrying the Roll Numbers will be issued to the candidates provisionally and will be available under candidate’s login, subject to the final confirmation of their eligibility. It is further clarified that the candidates shall be taking the Entrance Test at their own risk and responsibility as far as their eligibility is concerned and the University shall, in no way, be responsible if they are found ineligible later, leading to cancellation of their results or any other circumstance(s) emanating from the same. The candidates shall be allowed for the Test only on the production of the Admit Card along with one photo identity card at the Centre. No candidate shall be allowed to take the Entrance Test without the Admit Card under any circumstances. o If there is any problem in downloading the Admit Card from the website, candidate should send the email at pbbedadmissions@pu.ac.in or personally visit B.Ed. Entrance Test Cell at Panjab University Chandigarh. The minimum qualifying marks in B.Ed.-CET-2017 will be 15% for General Category students and 10% for SC/ST candidates. Once the online Application form is submitted, the candidate shall not be allowed to make any change in the Application Form by way of any addition /deletion /alteration / amendment / change of any particular etc. under any circumstance whatsoever. No request will not be entertained in case of change in category. 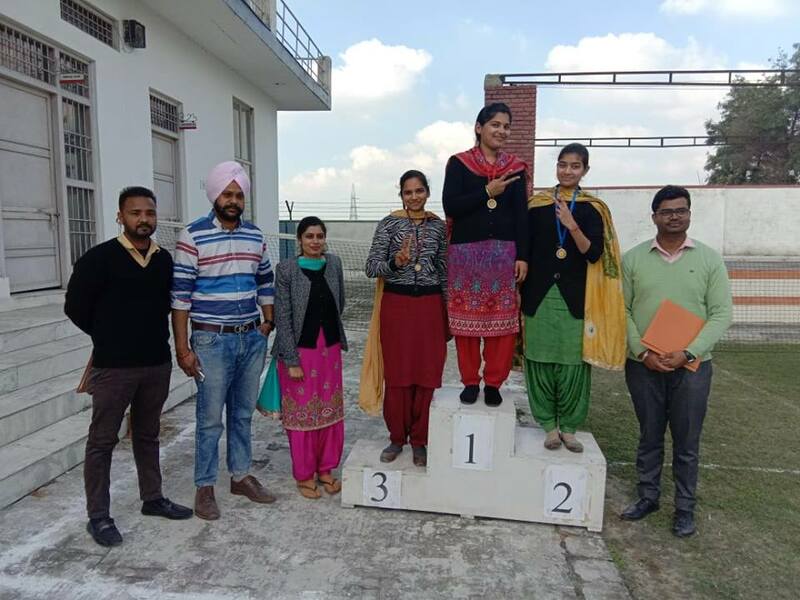 Result of the Entrance Test will be published by Panjab University, Chandigarh and will be displayed on the university website (http://results.puchd.ac.in). Only qualified candidates of B.Ed.CET 2017 will be eligible for “Online Choice Filling Process”. The instructions and other details regarding online choice filling process will be available on the website. Candidate has to provide choices of 10 Colleges in order of Preference. Along with each selected college candidate has to choose one subject combination. For some subject combinations, less than 10 colleges may be available, then in that case candidate need to select all the available colleges. Only one “Online Counseling” will be conducted by Panjab University as per Punjab Government Notification. The candidates must check the schedule from the website regularly. The allocation of seats for admissions to B.Ed. for session 2017- 18 shall be based on the merit of B.Ed.CET-2017 and choices filled by the candidate. In case candidate has not provided the choices, he/she will not be allotted any college and no further chance will be given after the last dates for choice filling as mentioned on the website link “Important Dates”. The candidate may contact directly to the concerned college for admission under Management Quota as per schedule. The candidates will be held responsible for filling the online application form and making choice of teaching subject on their own behalf. Hence, it is recommended that the candidates may proceed to the process of online registration at their own. However, they can take the help from the Help Desks established by the colleges for the convenience. The institutions will not be held responsible for any online activity done by the candidates. The candidates seeking benefits of 5% marks for rural area must ensure that the certificates of 8th and 10th class passed from rural area school issued by the head of the school should be duly signed by the D.E.O. (by the concerned Sarpanch in case of school affiliated to CBSE/ICSE). 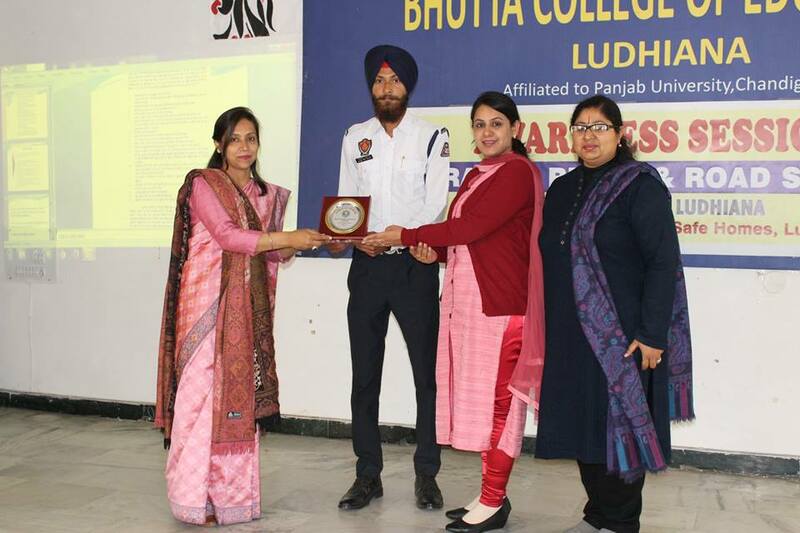 The Seats up to 70% of sanctioned intake at Malwa Central College of Education for Women, Ludhiana shall be reserved for rural women candidates who are bonafide residents of Punjab State. The candidate must fulfill the stipulated criteria for reservation of Rural Women Candidates as per Form ‘C’ available on the website.